“Make no mistake, the President’s Executive Orders might as well be called Execution Orders because they are designed to kill the Affordable Care Act, which will put families’ lives and financial stability at risk. 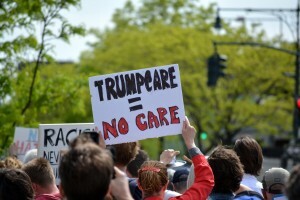 “By halting payments to Affordable Care Act plans, Trump will destabilize health care markets. It is a cruel, callous, and calculated move to reverse the progress we’ve made under the ACA, harming millions of people who are counting on this care. In California, we are fortunate that Covered California has designed a work-around to help shield consumers in our state, but this is an unnecessarily confusing, costly and mean-spirited way to try to score a political win on the ACA after repeated failures in Congress. “Worse, last night’s order comes on top of another destructive Trump action that will allow for massive rip-offs of patients and families, promoting the sale of grossly inadequate insurance policies that enrich CEOs while providing poor coverage. The cumulative effect of these orders is to undercut the value of coverage and force families to declare bankruptcy when an illness strikes, just as they did before the ACA –but on a much larger scale.